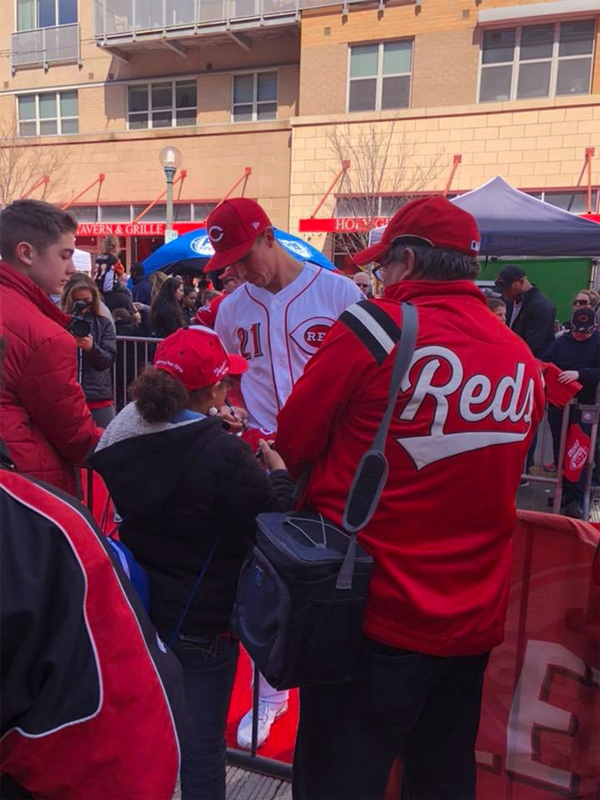 After the run way the players were more than generous to spend time meeting, and signing autographs. Thanks to Jen Doss for the great photograph. 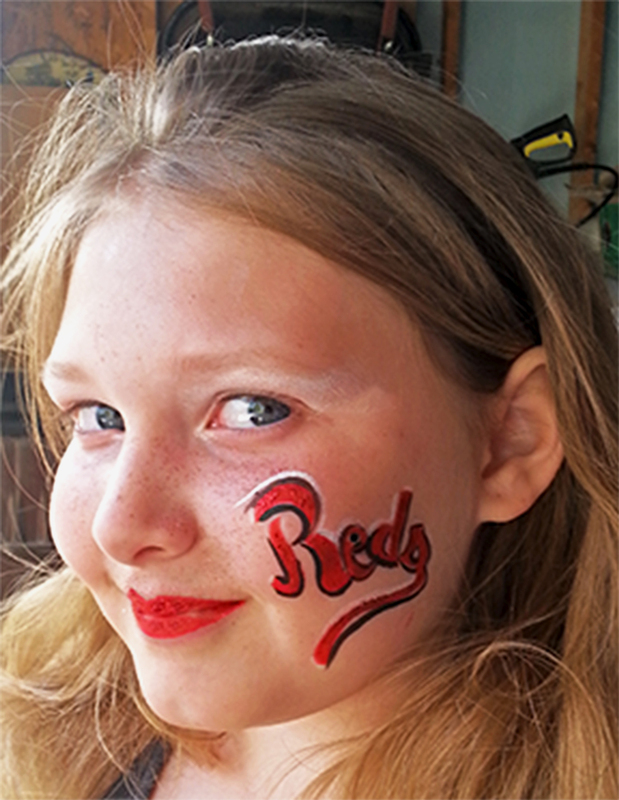 Thanks to Frischs Restaurant and Arts wave for sponsoring my face painting team to participate in the Cincinnati Reds Opening Day at the Kids Zone on Freedom Way 2018.